Ron Perlman says: "Acting is like a drug, like shooting heroin and getting this incredible sensation”. 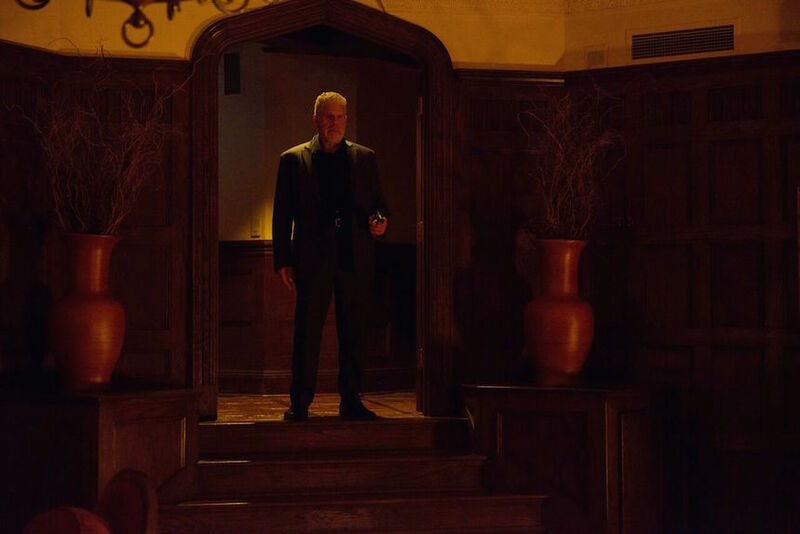 Directed by Michael Caton-Jones, Asher is Perlman’s latest production, in which the man himself plays the titular character, the quintessential solitary and professional hitman who will have to face a turning point in his life linked to issues like aging, health, and love, the latter when he accidentally meets Sophie (Famke Janssen), the woman he might want to spend the rest of his time with. 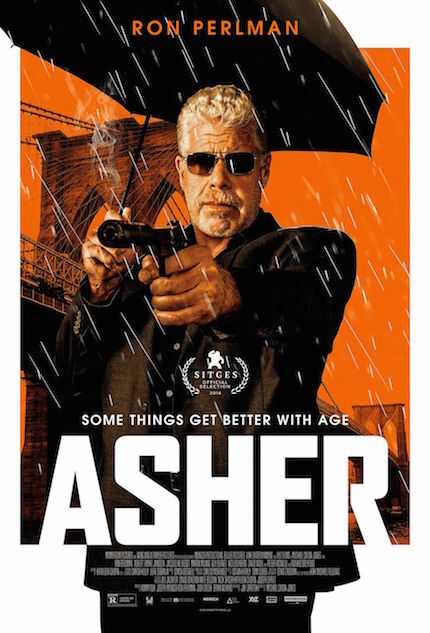 Since Asher gets released in theaters and On Demand and Digital HD this Friday, December 7, I had the following conversation with the star and producer of the film, Mr. Ron Perlman. ScreenAnarchy: ASHER is a crime film but some of its best moments, I would say, are very romantic and funny. So how would you describe it to people? 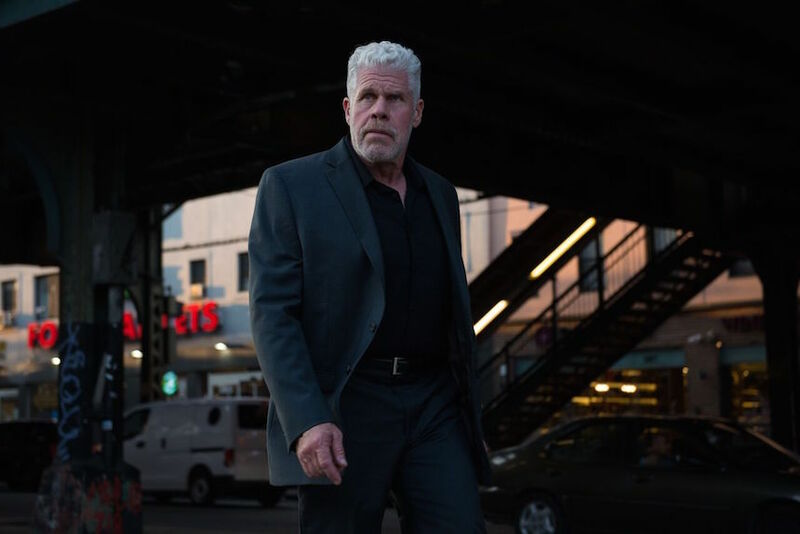 Ron Perlman: When I started the production company Wing and a Prayer, I had a kind of a dream or mission of creating an environment similar to the one we had in the sixties and seventies, where our heroes were very ambiguous, they were all very flawed but also compelling and heroic at the same time. That period lead a way to an amazing talent that continues to affect us: [Martin] Scorsese, [Francis Ford ] Coppola, [William] Friedkin, [Brian] De Palma, just to name a few. When I read Asher, the film seem to have all of the precepts of a classic seventies movie. Our lead character is a paid assassin, very elite, but also pretty lonely and there’s a kind of sadness to him that is almost overwhelming. There’s also this anachronism of somebody who’s from another era, another time and pace, and is beginning to get older, lose his ability, the fact that he’s slowing down, and the end of his time can be threatening… a lot of existential issues. This is a genre film that reminds you of seventies old-school movies, like you said, so in the sense, what was the challenge to create something fresh from that point? Your character is very distinctive, we see him cleaning his shoes, he usually uses an umbrella while working, he loves wine. How much were you involved in the creation of these details? Those are the things that were there in the screenplay from the moment I read it, and are one of the things that attracted me of the world of the movie. There was a great deal of wisdom in the screenwriter [Jay Zaretsky] taking the time to create a character that was defined by the respect he puts into everything he did, even the shining of a shoes or picking up a bottle of wine… the exquisite respect that he has for the quality of his life, and that’s kind of what defines him as a professional. He has to be a professional assassin, but whatever he would do in life, he would do it with style, elegance and with care and respect. That’s his professional ethic. To me those are the things, those qualities, that define what makes Asher watchable. It was all given to me by the screenwriter, I didn’t have to invent anything. Asher is tough and cool but also very sensitive, which reminded me of Hellboy as he also cares a lot about a woman, in this case Sophie. What’s the key to play these multilayered antiheroes? The thing about Asher’s imposed solitude, as you watch him just sitting there, doing nothing but drinking a glass of wine, he seems to be yearning for something that he has deliberately deprived himself of; in this case the affection of a significant other, because anybody can put his life in the way of danger, so in result he lives a life of solitude. But there’s this longing and yearning that comes with a choice like that, and it comes flooding in when he lays his eyes on this woman, who’s every bit as independent and alone as he is, and she made her own choice to be that way. There’s a recognition of each other’s loneliness and longing for something better, and in bringing that out of each other, that’s the definition of a love story. As a producer of the film, and in this time of remakes, reboots, sequels, prequels, is it more difficult to produce and star in a movie like ASHER, which has no direct precedent? Every movie is challenging, every movie comes with a shitload of obstacles that need to be reversed and knocked out of your way in order to get them done. These little independent films, the market no longer supports an environment where those movies can do well, so that’s the challenge of making movies like this, but I make them because they’re beautiful and they’re evocative of a point in our cinematic history that was important and sublime. So I won’t turn my back even if the market tells me I should. Genre, horror, fantasy films are usually looked down on by the mainstream Hollywood. What do you think has or will change after Guillermo del Toro’s THE SHAPE OF WATER won the Best Picture Academy Award? The thing with Guillermo del Toro is, there’s only one. We can’t talk about genre and also talk about Guillermo. Guillermo is his own genre, he makes a movie unlike anybody else does. In the case of a movie that you want to categorize, as a horror film or as a thriller or as a vampire film, in the hands of Guillermo is so much more than that, it’s a reflective metaphor... what you think you’re watching, you’re watching something completely different. If Guillermo brings something else to, say, a vampire movie, what do you think ASHER brings to the crime genre and also the hitman subgenre? You’re right, while it’s been those things you just described, genre wise, it’s also a character study and a study of humanity, of those topics like longing and yearning, and legacy, and what is it all mean, and where does one finds meaning in life. Asher is always exploring those things even while it's been a hitman or a crime movie. I interviewed recently Udo Kier and he told me that he doesn’t have any interest in the SUSPIRIA remake because he was in the original, so I dare to ask you if you have interest in the new HELLBOY film by Neil Marshall? I think great people are involved in that movie as well, so what do you think? I think my period of playing Hellboy has come and gone. I’m very happy with the effort and the time and everything that went into that. Personally, I’m no longer interested in exploring that character, unless it's with Guillermo del Toro.